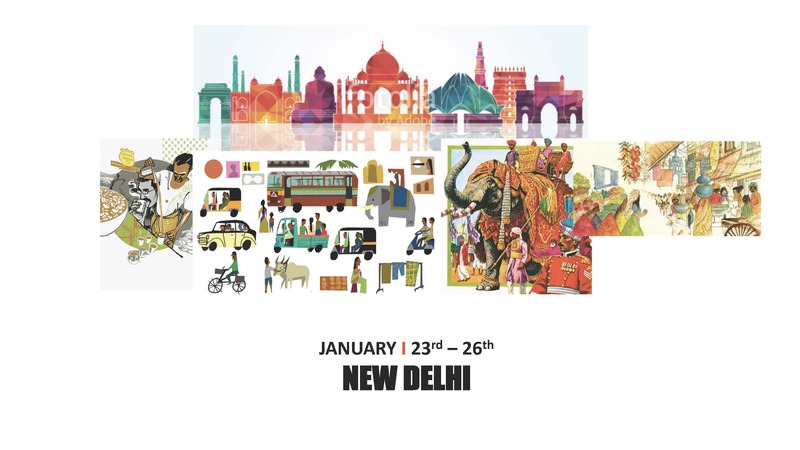 For PRN the new year kicks-off with a board meeting in New Delhi from January 23 – 26, 2019. Our Indian hosts Skateboard media have put together a very exciting and informative itinerary for the four days. They will bring together a Communications Forum, where leading voices from the Indian media and public relations industry are slated to give a taste of the dynamics in the country. From sharing a snapshot of the diverse Indian media landscape, new media, brand and corporate communications to women in communications and entrepreneurial initiatives in the country, there’s a lot in store for us! So far we have on board our members from Germany, South Africa, USA, Hong Kong, South Korea, Taiwan, France, Portugal and the United Kingdom. They meet for the bi-annual PRN board meeting on January 25th, to chalk out our priorities for the year, sharing their best practices and challenges. Key themes would be to looks at ways to enhance collaborations between partner networks on international projects and improving communications and report backs to the network. But a trip all the way to India without seeping into the sights, sounds and flavours would be incomplete. Our hosts have taken very good care of this – arranging trips to the best restaurants and the famous multi- Indian- cuisine and shopping destination – Dilli Haat. The packed PRN meet culminates at one of India’s most beautiful monuments – Taj Mahal. Here’s hoping for some clear weather to bask in New Delhi’s Winter sun!